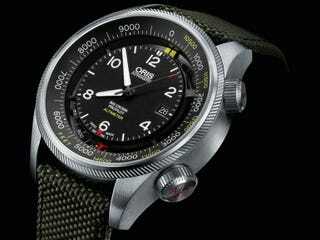 The Oris Big Crown Altimeter. Few mechanized watches can measure ones altitude and even fewer can do it for less than 10k. To my knowledge Oris is the only one. Needless to say I want it. But at 47mm I am not sure I could ever justify the giant size.